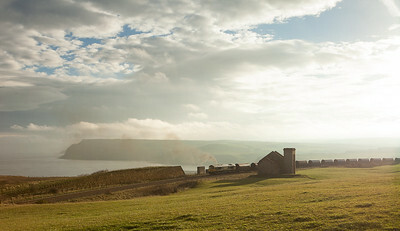 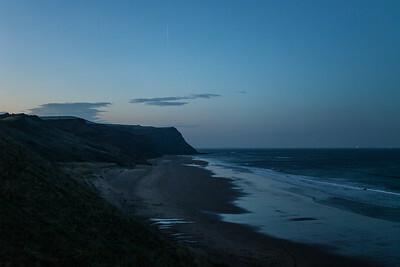 Pictures from a December trip to the coasts of Yorkshire and Cumbria. 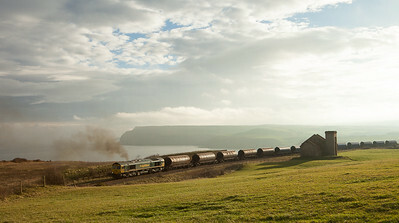 66599 on the 692V passes the Huntcliffe Mine fan house. 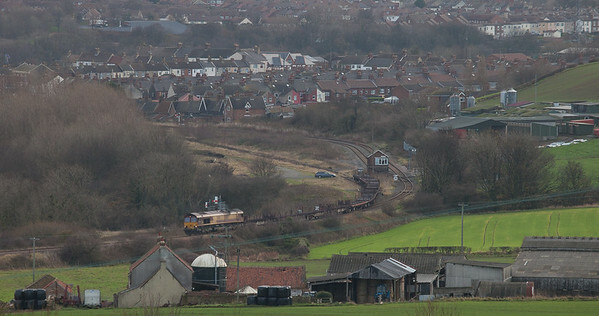 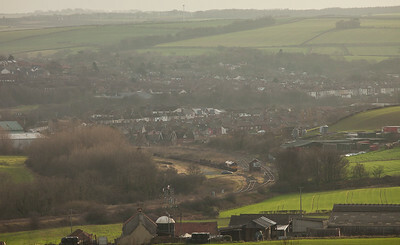 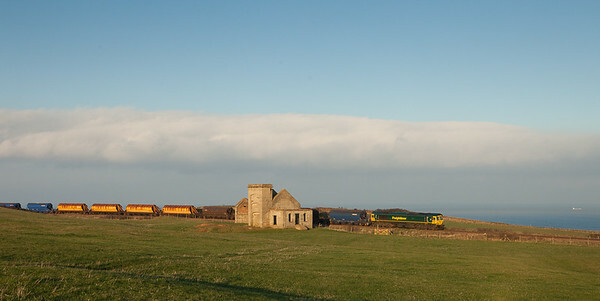 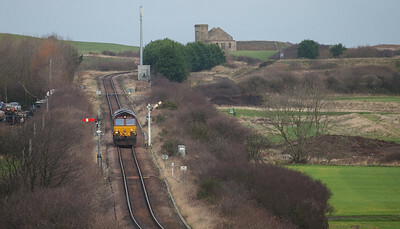 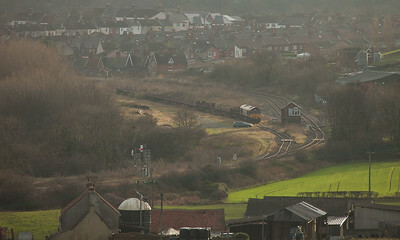 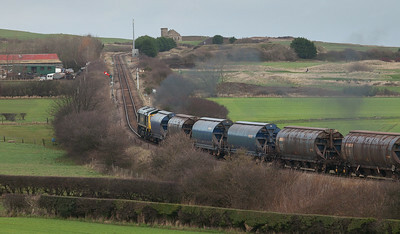 66597 on the 656Y to Boulby passes the Huntcliffe Mine fan house. 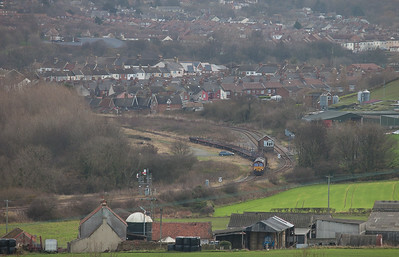 66597 on the 656Y to Boulby approaches Brotton. 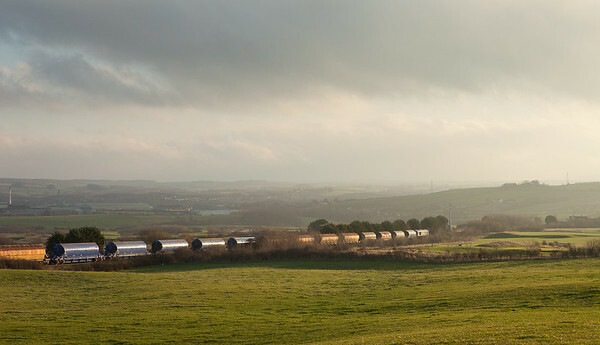 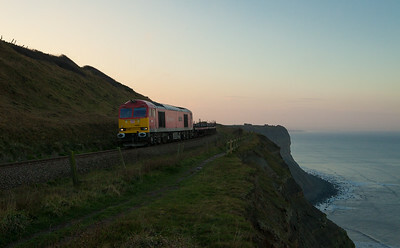 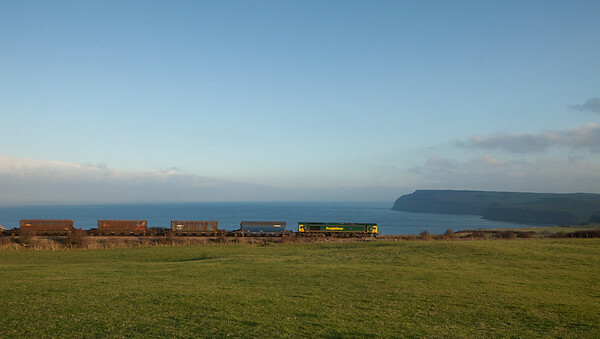 60040 on the steel train 689W to Skinningrove on Cattersty Cliff after sunset. 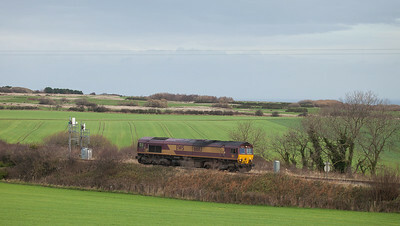 66113 light engine to Tata Steel approaches Brotton. 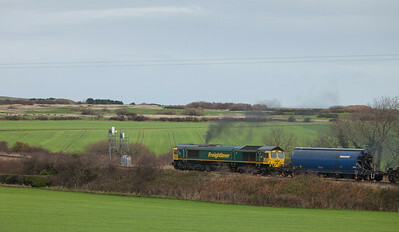 Freightliner Heavy Haul 66599 on a potash load from Boulby in Brotton. 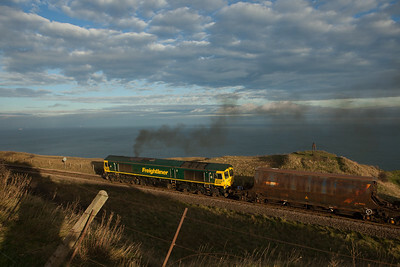 Freightliner Heavy Haul 66599 on a potash load from Boulby passes the Huntcliffe Mine fan house. 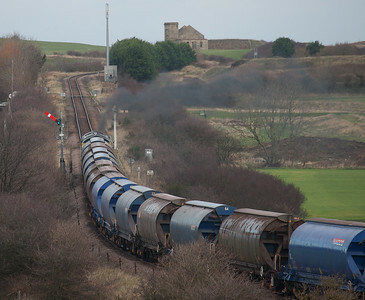 Steel train just out of Tata Steel in Crag Hall Jcn. 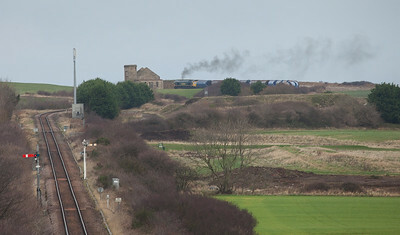 Steel train just out of Tata Steel departs Crag Hall Jcn. 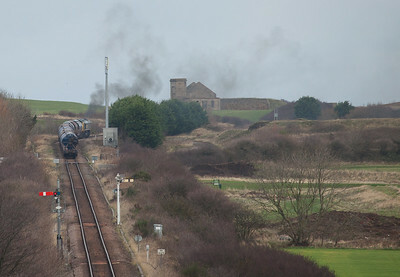 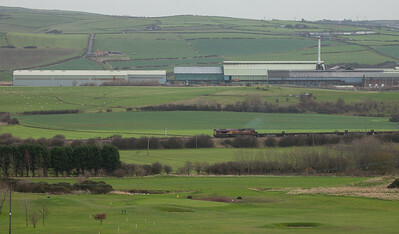 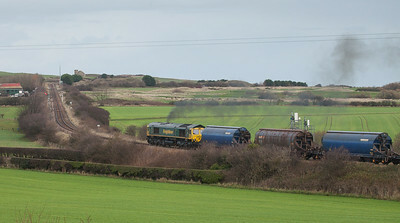 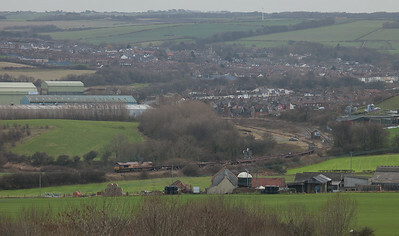 Steel train passes in front of Tata Steel Long Products Europe, Special Shapes Section, Skinningrove.